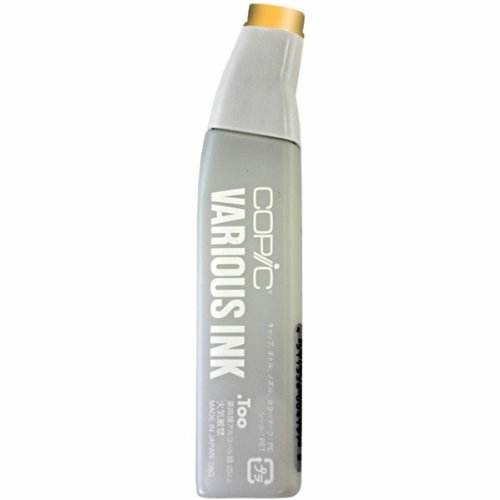 Copic Markers-Copic Ink Refill For Sketch & Ciao. Markers Can Be Refilled Using the Booster By Dabbing the Ink Directly On to the Nib Or By Removing the Nib With Tweezers For Quicker Filling. Features: Refills of fer the Ability to Custom Mix Colors, Measurements Are Marked On the Bottle, the Tip is Angled For Accurate Filling, One Bottle of Permanent Ink Will Refill A Ciao Marker Thirteen Times And Sketch Marker Eight Times, Manufacturer Guaranteed Shelf Life of Three Years, These Inks Are Marked With Universal Color Numbers For Each Copic Marker And Spills Can Be Cleaned Up Immediately With Rubbing Alcohol. Imported.